It’s amazing that the NFL still takes the high road when it comes to gambling on its game. All of the ESPN tlaking heads chastize the practice of gambling on football yet every one of the former mediocre players/coaches/GM’s-turned-talentless schills will make their “picks”…versus the point spread of course. They will all discuss Indy being a 5 1/2 point favorite in one breath and then spit on Tim Donaughey in the next. They will talk about covering the spread but still losing the game, yet make a case for keeping Pete Rose out of the HOF . Roger Goodell and David Stern all play the matyr, yet they also realize deep down that they would have about 30% of the viewing audience if gambling wasn’t rampant in their sports. 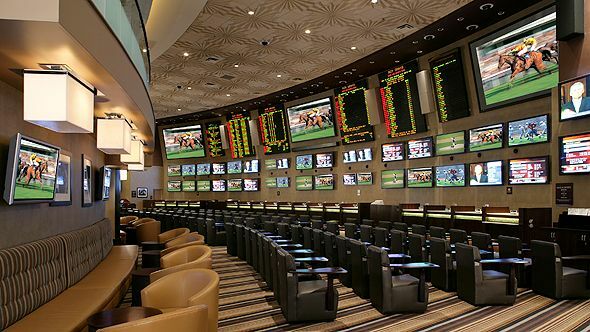 Gambling on sports has gone through a transformation in the past decade or so. While people always bet on games, it is no longer only through your “guy” or wacky Unlce Sevvy. Online gambling is massive and in the forefront and it only keeps getting bigger. Fantasy Sports, DirecTV’s NFL Sunday Ticket, office pools, and the increased availability of online gambling means on one way or another, the majority or people watching the Super Bowl will have some kind of underground financial outcome riding on the game…or maybe just how many times Kim Kardashian’s mug gets on TV. With that in mind, I hope you take a look at some of the more comical, entertaining, and just plain weird proposition bets on the Super Bowl XLIV. It used to be that betting on the coin toss was considered crazy, now there’s something for everyone out there, whether it has to do with the game itself or not at all. If they don’t interest you or you don’t gamble, then I applaud you. But I’m willing to bet 5-1 that says something in this list will catch your eye! How long will it take Carrie Underwood to sing the “Star-Spangled Banner” (from starting note to last note sung)? TheMovieMind Pick: Under-city…check out her YouTube clips for research (plus when singers get nervous they speed up…not slow down). How many times will CBS show Kim Kardashian on TV during the game? The MovieMind Pick: Over 2.5…even though everyone is going over, I think Reggie has a big game and CBS has no shame whatsoever in trying to keep the female viewer attentive. How Many Times will CBS show Bourbon Street on TV during the Game? The MovieMind Pick: Over. If the Saints can keep it close it will be a big Over. The NFL is dying to get the viewers rooting for NO. How many times will CBS cut to Archie Manning? The MovieMind Pick: Even though this line shot up from 2.5…I still like the over. Archie has ties to both sides. How many times will announcers mention Hurricane Katrina? The MovieMind Pick: Really tough one…I would again go over because the bet does not stipulate that is has to happen during the game. With Nantz having a knack for the uber-dramatic, I say he hits it by himself. The MovieMind Pick: Under. I say Dungy makes a point of letting CBS know he doesn’t want to be the focus. The MovieMind Pick: Yes, believe it or not Kardashian’s measurements are available via Google. The measurement total 99, and it’s minus 38.5 so that means Bush has to pick up 60.5 yards. I’ll take Bush and the over and hope Kardashian doesn’t scoff down too much gumbo before the game. Higher: Kim Kardashian’s boyfriend rushing yards, or Chloe’s husband points/rebounds/assists? The MovieMind Pick: I think Bush does more from the receiving end and for that reason I take Odom. The MovieMind Pick: Not sure of her clothing history (you may want to look it up) but if she doesn’t wear his jersey in support he needs to kick her to the curb (again). Take Yes. Will Pete Townshend smash a guitar on stage during the halftime show? The MovieMind Pick: Townshend was specifically selected by the NFL to be the “safe”pick. As much as I hope he stumbles in straight off Bourban Street loaded on Hurricanes, I’d pick against the guitar smash. How many times will The Who’s Pete Townshend do his windmill move? The MovieMind Pick: Over…I think he needs to atone for not being able to smash any guitars. The MovieMind Pick: Manning or Brees are the most likely winners. I like the money on Teammates with God being the big favorite. I personally would take a flier on the fans, especially if Brees wins it. The MovieMind Pick: I like the longshot…go Red (it’s the new clear). The MovieMind Pick: I think the defense for the winning team will be on the sideline when the game wins so I like the D here. How many current NFL Players will be arrested during Super Bowl Week? The MovieMind Pick: I can’t see either of these teams having a Barrett Robbins or Eugene Robinson.Go Under and if you find any of the guys on Bourban Street this week…send them home! Total Rushing Yards, which will be higher? The MovieMind Pick: Gimme Addai’s SB XLI total all day…I don’t think he’ll even be the leading rusher on his own team Sunday. Total Passing Yards, which will be higher? The MovieMind Pick: Brees…whether winning or losing, the Saints 2nd half performance against the Vikes in the NFC Championship proves they are not the running team they thought they are. They need to air it out. Will they show clothing apparel proclaiming the Super Bowl Champion before the final whistle? Will there be a graphic of a grade-three ankle sprain? If so, will that graphic rotate to better see the ligament in question? Will Saints kicker Garrett Hartley’s four-game suspension for taking Adderall be mentioned? How many plays will be subjected to replay review? Will Peyton’s mother Olivia Manning be mentioned by name? Will Peyton’s older brother Cooper Manning be mentioned by name? Will Peyton’s wife Ashley Manning be mentioned by name? Will Drew’s wife Brittany Brees be mentioned by name? Will any other player’s wife, child, or sibling be mentioned by name? Higher: Peyton Manning TD passes, or Phil Mickelson’s fourth-round birdies? I think Brees or Manning will thank the fans or teammates before God. Just one of the many reasons I like them – they seem to understand that God is a little busy with starving children, wars, and the earthquake in Haiti to help some millionaires win a football game. Oh yeah – and there is NO WAY that Kim Kardashian’s waist is a 26. Absolutely. No. Freakin’. Way.